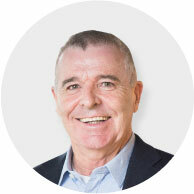 With over 30 years in the industry, Geoff is one of Australia’s leading recruitment and human resources executives. He is also a very active philanthropist. Geoff co-founded recruitment firm Morgan & Banks in 1985, building the company into one of the Asia Pacific’s most prominent recruitment companies. Geoff floated Morgan & Banks on the ASX in 1994, and grew the company to over $700 million in revenues before its acquisition by TMP Worldwide, a US company listed on the NASDAQ, for $380 million. Geoff then co-founded talent management firm Talent2, building it into a leading recruitment HR outsourcing firm and listing it on the ASX in 2004. Talent2 was privatised in 2012, before the company was sold to leading US private talent management firm Allegis Group in 2014. Geoff has co-authored several books on recruiting, and is an experienced investor in human resources technology. In 2004, Geoff was the recipient of the “Ernst & Young Master Entrepreneur of the Year Award” given for sustained success in business. Geoff was recognized as Member of the Order of Australia in 2015 and is also member of the Australian Institute of Company Directors. 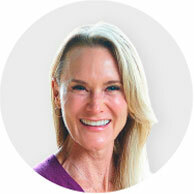 Christy Forest is the CEO and Executive Director at LiveHire. Christy joined the LiveHire Board in September 2017 with a strong interest in the LiveHire platform and transformational business model that changes the way people find meaningful work. Christy brings more than 20 years of experience in leading high-growth talent and technology businesses. As the Global Head of Member Services and the first woman on CEB’s Executive Committee, she developed a passion for delivering and scaling high quality customer experiences worldwide. As the MD APAC for CEB, she pioneered new markets, products and processes, consistently delivering the highest regional growth for the company. Best known for balancing the drive for performance with collaboration and humanity in the workplace, Christy’s greatest passion is animating a sense of purpose for teams and organisations. Christy completed her undergraduate degree at the University of Virginia, an MBA from Northwestern’s Kellogg Graduate School of Management, and is a member of the Australian Institute of Company Director’s. In her spare time, Christy is an avid yogi, wife, and mum of two. 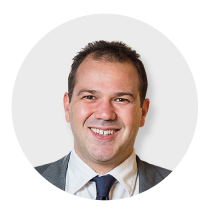 Adam is an independent Non-Executive Director of LiveHire. Adam joined the LiveHire board in April 2012, having been a foundational investor in the LiveHire business and served as Chairman prior to the appointment of Geoff Morgan. As an experienced executive, Adam has over 15 years of corporate board experience. 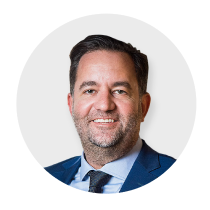 Adam is Executive Director of Australian Development Capital, a private fund manager specialising in the acquisition and management of property investment and development assets. Adam also sits on the boards of a number of non-profits and charitable organisations, including Starlight Children’s Foundation Australia (WA) and FORM – Building a State of Creativity. 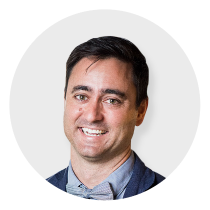 Adam holds a Bachelor of Commerce from Curtin University of Technology with Double Majors in Property and Finance. Antonluigi is Co Founder and Chief Products Officer at LiveHire. Antonluigi leads the development team, and has managed the in-house development of LiveHire’s technology platform and proprietary intellectual property since incorporation of the Company. Antonluigi’s passions are technology, big data and network analytics, and businesses that use technology to improve the quality of life of their users and make society more efficient and transparent for all. Prior to founding LiveHire in 2011, Antonluigi worked in management consulting and delivered projects for some of Australia’s largest corporates, including BHP Billiton, Leighton and Fairfax both in Australia and overseas. Antonluigi has a Masters of Engineering from the University of Parma, Italy, and is member of the Australian Institute of Company Directors. Michael is Founder and Growth Director of LiveHire. As Executive Director, Michael has responsibility for growth, new business development, brand, marketing and strategic partnerships. Prior to founding LiveHire, Michael launched two engineering technology start-ups, each leveraging pioneering proprietary technologies developed in-house by Michael and his respective co-founders. Michael is passionate about scaling businesses in fast-paced, competitive industries, solutions that deliver real positive value in people’s lives and technology that helps us evolve to a more humanised and connected world. Mr Haywood has completed a PhD in Engineering and a Bachelor of Commerce and Engineering, both from the University of Western Australia. 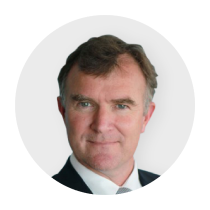 Michael Rennie is an independent Non-Executive Director to the LiveHire board. Michael spent 33 years with McKinsey & Co, the world’s leading management consultancy. He held various roles including Managing Partner of McKinsey in Australia for six years and a global leader of the organisation, people and HR practise for ten years . He also served on McKinsey’s global board. Michael’s work has been focused around four themes: Human Resources, People and Change, Technology, and Growth and Innovation. Michael oversaw McKinsey’s global research on the future of technology in HR, which examined the top 50 major technology innovations that would impact clients of McKinsey in HR over the next 20 years, led by a Silicon Valley-based team. Michael’s experience and reputation led him to be put in charge of all of McKinsey’s development programs globally for McKinsey’s Cell Leaders (CEO style roles) and the most 500 senior partners from 2010 to 2017. Michael’s reputation with national global leaders, his deep knowledge and appreciation of the future of HR and technology, and his leadership coaching ability, will be a tremendous asset for the LiveHire team.